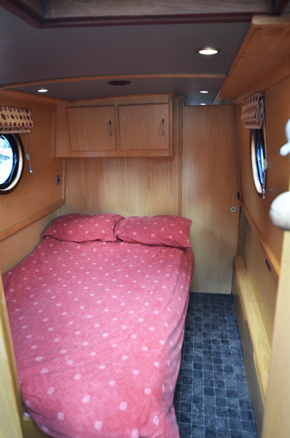 Fixed double in rear cabin. 2 singles in front cabin. 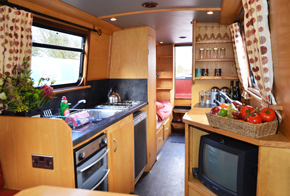 New boat in 2006 – Lovely boat with a very private layout of fixed double in rear and two singles in front cabin. 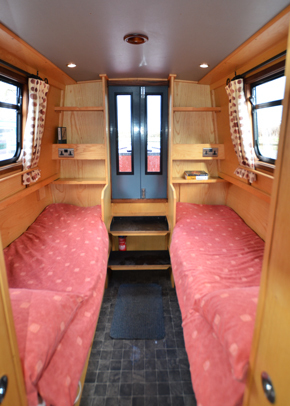 Separate saloon with raised seating in the centre of the boat. 240v electrical supply. Radio/CD player and Colour TV. Hair-drier. The large shower has a high pressure shower unit and there are china, fresh-water flush toilets. 240V electrics with 3-pin plug socket (suitable for low wattage appliance only).